Cockroaches seem to plague the world of humans everywhere. There are three species that seem to be doing their utmost to conquer the earth: the German cockroach (Blattella germanica), the American cockroach (Periplaneta Americana) and Oriental cockroach (Blattella orientalis). These species will devour almost anything but they really like sugary and starchy materials. Think of cardboard, book-bindings and the adhesive that holds your wallpaper to the wall. They are tropical in origin but in the temperate zones most species live in parts of houses and other buildings where warmth, moisture and food are adequate. The way the cockroach lives, feeds and dies, means it is also home to a large collection of disease causing agents, such as bacteria, viruses, fungi and parasites. Because Hepatitis viruses are usually transmitted via infected blood, cockroaches never were suspected of being able to infect humans. But, unlike a mosquito, cockroaches are transmitting viruses via the so-called ‘mechanical route’. This simply means that if you squash an infected insect, its contaminated blood may have the capacity to infect via direct or indirect contact. Remember, it only takes a minuscule wound for the virus to enter your system. Which is exactly what has happened before. An outbreak of Hepatitis A in a Los Angeles housing project in the late 1950s was eventually traced back to an infestation of coackroaches. From 1956 to 1959, the Carmelitos Housing Project represented 39% of all cases of Hepatitis A in Los Angeles County with numbers of the infected steadily increasing through the years. It was only until a full-scale cockroach control program was the outbreak halted. Two years following the program, incidences of Hepatitis A dropped to 0.0% and cockroaches traversing between the sewage system and the houses were pinpointed as the source of the epidemic. Hepatitis A Virus is commonly spread via eating or drinking food or water contaminated with infected feaces. Because those conditions also favour cockroaches, hardly anybody will suspect the cockroach as the vector. It is quite possible that incidences of Hepatitis A in which cockroaches are the causal species are seriously underreported throughout the world. 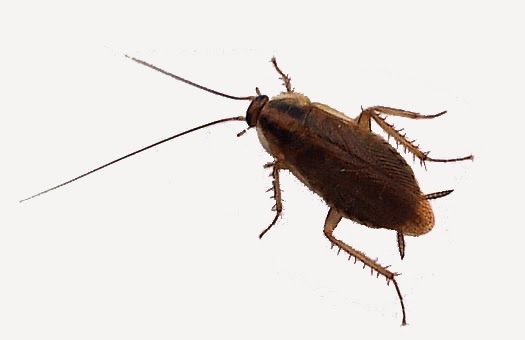 Cockroaches – Unhygienic scavengers in human settlements. WHO.